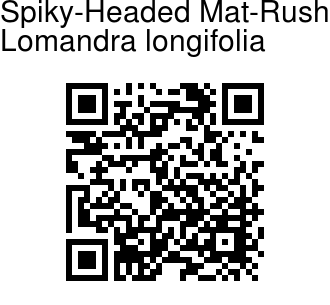 Spiky-Headed Mat-Rush is a perennial, rhizomatous herb found throughout eastern Australia. The leaves are 40-80 cm long, about 8-12 mm wide. It grows in a variety of soil types. The inflorescence is usually a panicle of clusters of stalkless flowers. Each cluster has a sharp, slender, straw-colored bract at its base, which gives it a dense spike-like structure. 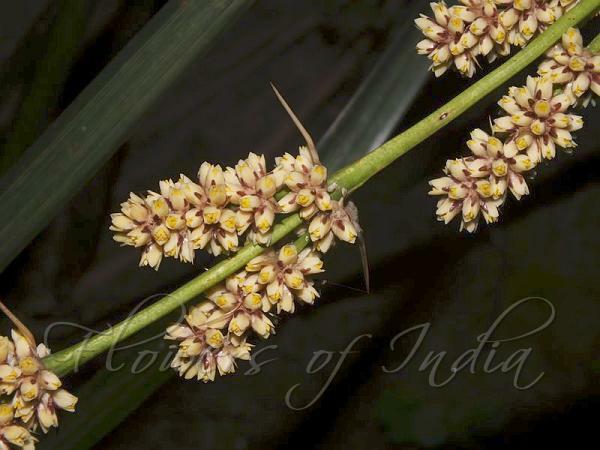 The inflorescence is usually about half the leaf length (50 cm) and individual flowers are about 4 mm long. Flowers are scented and dioecious, with the female flower often a little bit longer or larger than the male flower. The heavy-smelling nectar on flowers can attract pollinating beetles. The clustered flower head is always shown as brown seed capsules throughout the year. During the flowering period, sepals are shiny brown, thin and papery, while the petals are fleshy and creamy-yellow colored. Native Australian people use the leaves to make strong nets and baskets, and they consume the base of the leaves as hydrated food. Identification credit: Surajit Koley Photographed in Llyods Botanical Garden, Darjeeling.